Fifty years ago, a confluence of events took place in Northern California that would lead to "the Summer of Love." Thousands of hippies moved to the San Francisco neighborhood Haight-Ashbury to, as Timothy Leary put, "turn on, tune in and drop out." Today, the Rock Hall opens a new exhibit that chronicles that social phenomenon. 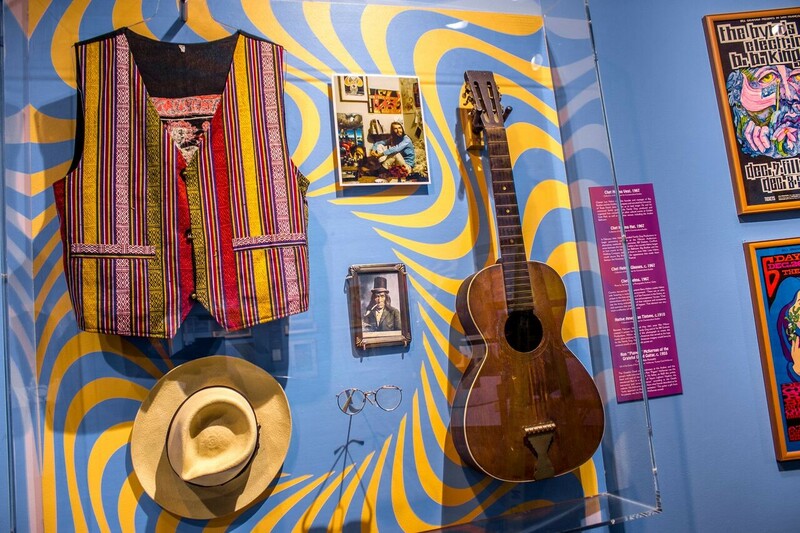 The exhibit includes Jimi Hendrix’s purple velvet jacket and the recording console used for his “Summer of Love” recordings, a guitar belonging to the Grateful Dead's Ron “Pigpen” McKernan, clothing worn by the Mamas and the Papas’ Michelle Phillips, concert posters from the Fillmore and Avalon Ballroom, and original artwork by Jefferson Airplane’s Marty Balin. The Rock Hall’s Library & Archives located on Tri-C's Metro Campus will feature a companion display of concert handbills. The exhibit runs through the end of the year.